I've actually lost count the number of times I've started a diet and blown it following a dreaded weigh in. Oh well, bugger it! I've tried really hard this week, denied myself that piece of cake at work, had only 1 slice of that horrid airlike nibble bread as it's only 1 point and still after all the sacrifice the bloody scales tell me it was all in vain! Gaining 1/2lb has literally brought me to tears on many occasions. Then the binge....sod it, lifes too short I'm having the cake and the real loaf of bread and the booze. Rebelling...oh yeah and I'm not pointing, counting, sinning, juicing, fasting or anything else so there! I'll start again on Monday. The self destructive emotional rollarcoster ride of the lifelong yoyo dieter. For some of you reading this, my words will resonate with you and you will know the pain. How can those numbers on a scale define you, control you, make or break you? I've spent a long time mentally debating those questions. Weight has always been an issue for me, even as a child I felt fat. Food has always been a comfort and curse for me. As a teenager I had a bulimic episode and tried every fad diet going. Looking back now I realize that I was a healthy weight and size. Thank goodness it was before the pressures of social media! 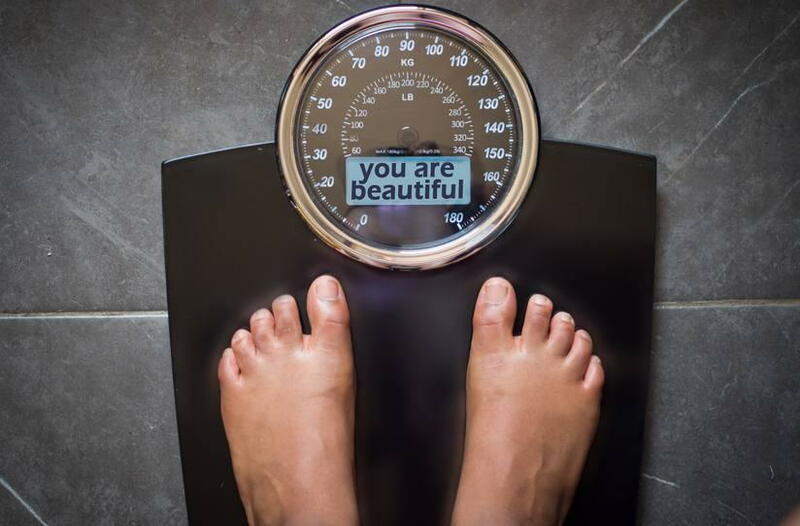 Why do we obsess over the number on the scales. Do they define how attractive a person is really? No, but that feeling of having lost a few pounds can be the very best feeling in the world to a lifelobg dieter. At the age of 42, I can proudly say that I have finally cracked it! Hurrah. How you may well ask in desperation. The bad news is that it's not a magic pill, nor does it take the elation of the little number decreasing away but it does give you back your sanity and a healthy perspective. It's called eating real food, educating yourself about your body, providing yourself with fuel not toxic crap, loving yourself, making a lifelong commitment to your health and having access to self care resources. I am a very lucky lady who happened to get the job as the massage therapist at Pure Wellness Centre. My Wellness journey so far has seen me become a happy non-smoker after 27 years gaining only 6lb I might add ( Oh there's those numbers again). Understanding my bodies biochemistry through personal research, support and expert knowledge from my colleague's, testing including monitoring my blood glucose levels and bioresonance testing, cutting out inflammatory foods to begin with, healing my gut and really listening to my bodies reactions to both emotional and food stresses. I practice mindfulness, I walk instead of taking the car when able, I have a positive attitude, I changed my career direction, I make my food and fuel my body with fabulous real foods which agree with my digestion. It's a lifelong commitment to love and respect myself, for myself.....and guess what? I've lost weight! Without obsessing about those silly scales. You see weight loss is the natural by product of good health. I have discovered that losing weight will not make me happy, dieting has never truly ever made me happy really. I have had temporary moments of elation whilst seeing those numbers decrease and dropping a dress size fir a few months. Ultimately those numbers have always crept back up. I've chosen to prioritize my health over dieting and ignore those scales. Bodily fluids can fluctuate, especially during the menstrual cycle consequently the scales will reflect this natural state. if you would like help and support in regaining your health, please contact the centre on 01202 463 405 and [email protected] We are all uniquely wonderful and need to be treated as such. Happy healing on your wellness journey.